Asengana is a SaaS (Software as a Service) platform. 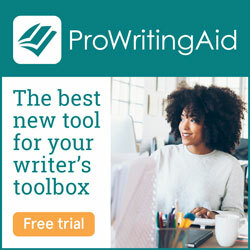 It is a collection of online writing software and project management tools for writers based on Kanban method. The functionalities of the platform are consolidated towards managing your book as a project. The Manuscript module gives access to full content of your story, one-page view, and an easy way to navigate to a specific chapter or scene. Instead of using various software or paper to save/organize your research notes, location descriptions, character profiles and so on, the Project Management menu allows to keep everything structured and easy to reach. A major advantage is the enhanced component allowing for embedded video, images and Google Map localization. We provide analytics that go beyond the number of words you write every day. You will have statistics of the number of written words, but also analytics based on the project management tool, so you could plan better and meet your deadline. You can activate the auto-save feature and save several different drafts for each book. You can export the Manuscript as well as the entire project in case you are writing a series and you want to create a new project using the same characters/locations/etc. PreviousHow can I delete my account?